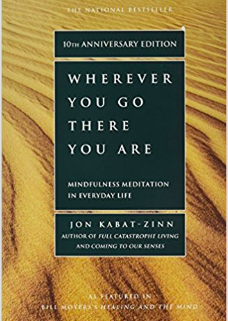 We will be discussing “Wherever You Go, There You Are” by Jon Kabat-Zinn. Please join us for a glass of wine or a mug of tea, whether you’ve read the book or not! We always have meaningful and engaging discussions!